IXONIA, Wis., July 19, 2018 /PRNewswire-iReach/ — JNL Technologies, maker of Quantum™ nurse call and access control systems, announces the launch of a cutting edge wearable Wander Management Transmitter. 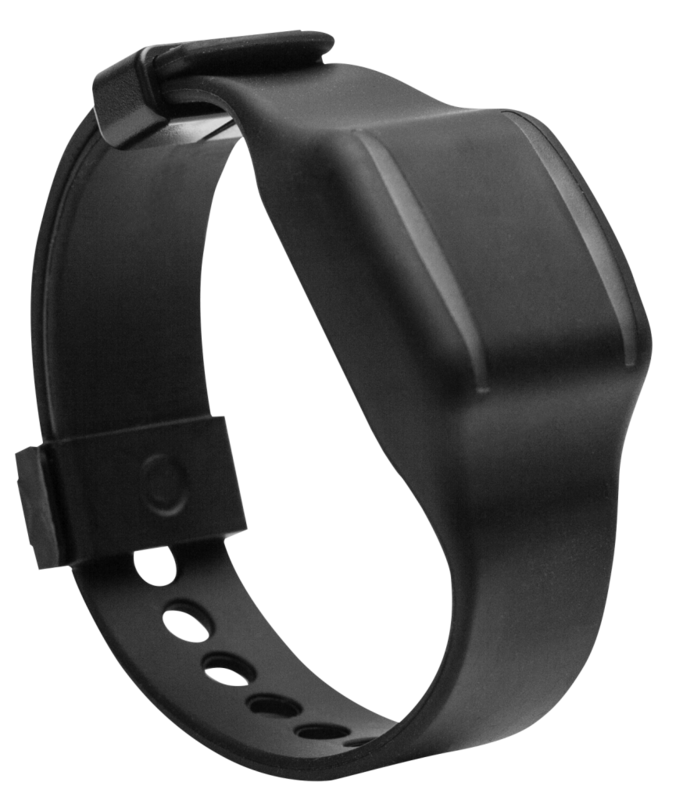 This stylish, wrist-worn device seamlessly integrates with JNL’s Quantum Door Access Control and Nurse Call system, bringing a whole new level of innovation to the wander management space. The Wander Management Transmitter provides discreet and dignified protection for residents who need it. The transmitter, in conjunction with the powerful Door Control System, sends alerts when at-risk residents attempt to exit a monitored area, providing resident name and the location of the alert. The long-range transmitter also enables noninvasive battery status monitoring. In addition, the device is equipped with a number of additional sensors that will be activated in future development phases to enhance the monitoring of residents. The Quantum Door Control System already provides all the tools needed to secure facility exits from unauthorized entry from the outside, while keeping the residents protected by providing individualized and customized access within a community itself. Each Door Control System can be uniquely configured, so communities can choose the best solution for each part of its facilities. For example, doors to the memory care unit may be kept locked at all times and require a staff credential for access, whereas doors in assisted living may remain unlocked except when approached by an at-risk individual who requires more security. Other doors can be unlocked and send alerts when an at-risk resident passes through. The Quantum Wander Management Transmitter can deliver security, without sacrificing dignity. Delivering the least restrictive care required is essential to CMS regulations and is certain to enhance resident satisfaction and quality of life. The ability to reset alarms or bypass doors with at-risk residents near a monitored exit is determined by role, and can differ for each family member, kitchen staff, nursing staff, etc. Control can be customized to the needs of the facility. 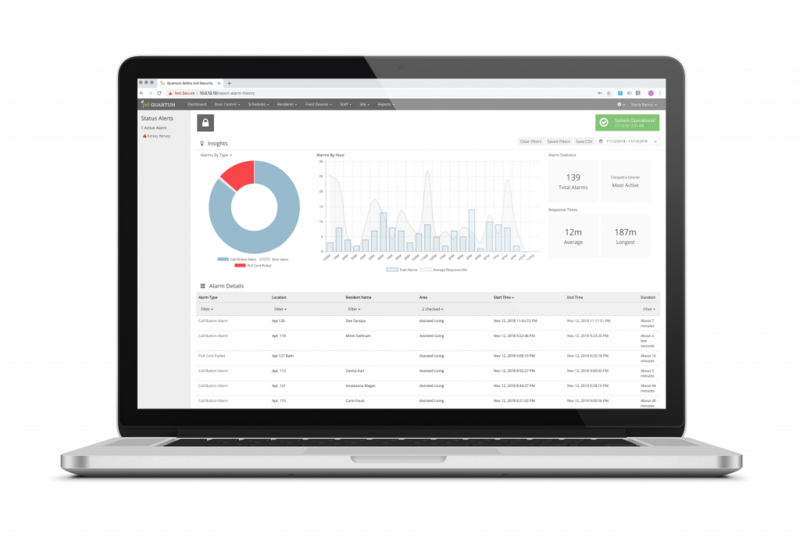 Activity at every door is tracked, and data is accessible through the system’s Insights Reporting package. Alarm activity reports show when and where alarms occurred, and who reset them. Event reports show all of the activity at a door, e.g. every time it is opened, closed, who bypassed or reset the door, and every time a resident is detected near a door. The Quantum system is comprehensive and scalable, designed to meet both budget and community size requirements. It is currently installed in facilities across the country. JNL is actively recruiting new dealers.